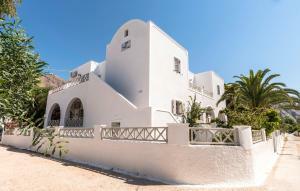 Villa Dolphins offers accommodation in Perissa, on the island of Santorini, 200 meters from Perissa Beach. 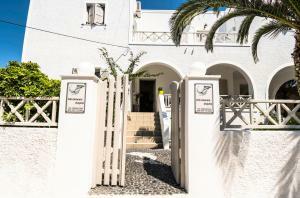 The rooms have a flat-screen TV, kettle and private bathroom with shower. 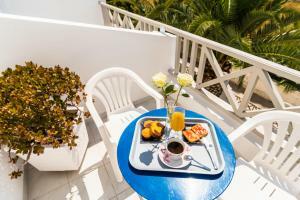 This double room has a balcony, tile / marble floor and electric kettle. Room with 2 single beds, balcony, flat-screen TV and electric kettle. 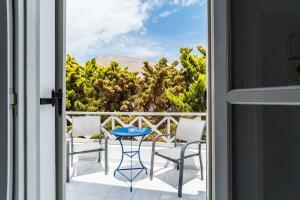 This triple room features a tile / marble floor and a balcony with electric kettle. This double room has a balcony, a flat-screen TV and an electric kettle. 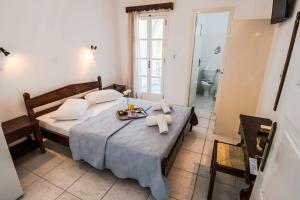 This double room features a balcony, a flat-screen TV and tile / marble floor.